February 20th, 2019 - Does My Bomb Look Big In This? We lost more than just nightclubs when Gladys Berejiklian’s Government implemented knee-jerk lockout laws. Late night dining took a big hit, which is why I found myself heading to Burwood rather than the CBD, when work commitments dictated a late-night (post 10.30pm) dinner. 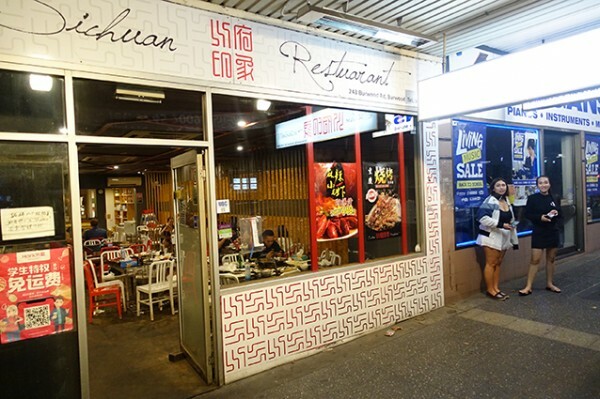 Sichuan Restaurant boasts a 1am kitchen, which was pretty much why I chose to eat here. 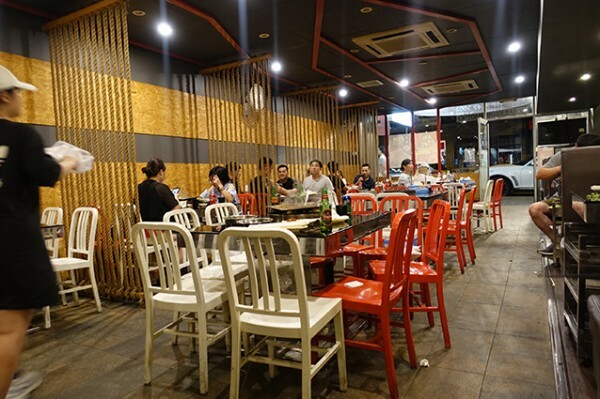 When we arrive, the long, narrow restaurant isn’t full, though it has an air of having been well-used. The decor in the over-lit restaurant is pretty simple. 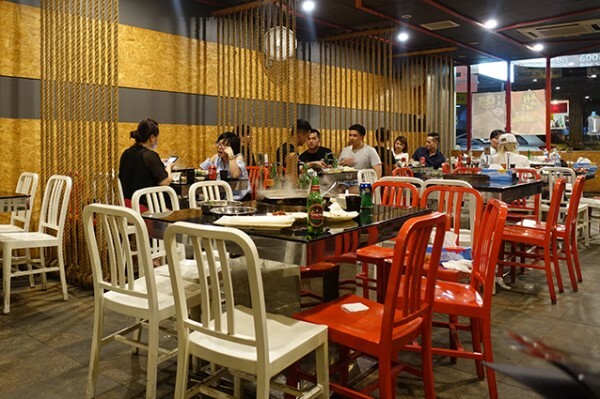 Along one wall, rope dividers give some sense of separation between tables, while on the other, there are booths where the seating and scratched glossy black tables have both seen better days. 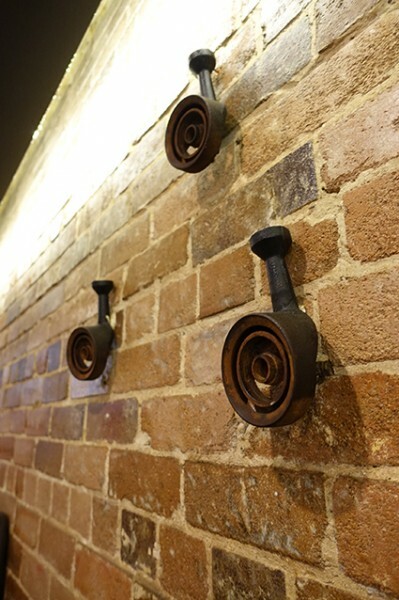 The exposed brick wall is decorated with what look to be cast iron burners. Staff are subdued rather than welcoming, but it could be the hour. After leaving us with two different menus, they take a bit of summoning to come back and take our order. 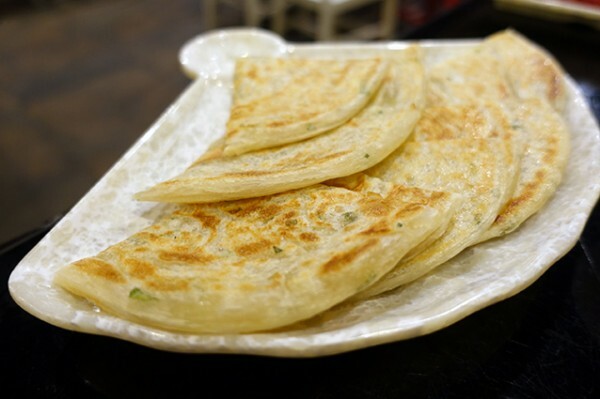 From the glossy picture menu of dishes the kitchen prepares for you, we opt for a Fried Chive Pancake ($6) to take the edge off our hunger. Arriving on a fan-shaped plate, the flaky pancakes are quite compelling. 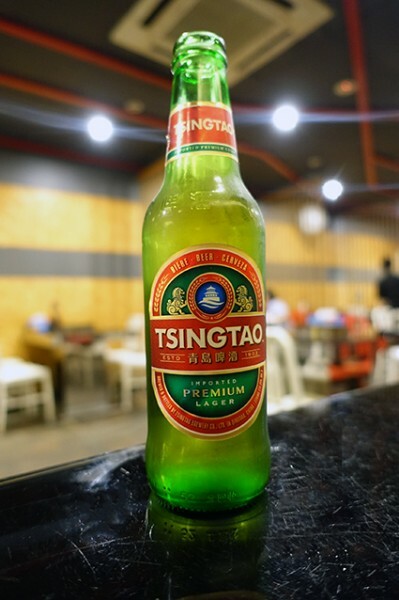 From the short list of alcohols, that boasts beer, a single wine (Penfolds) and a number of distilled Chinese spirits, we stick with old faithful - Tsing Tao ($5) beer. 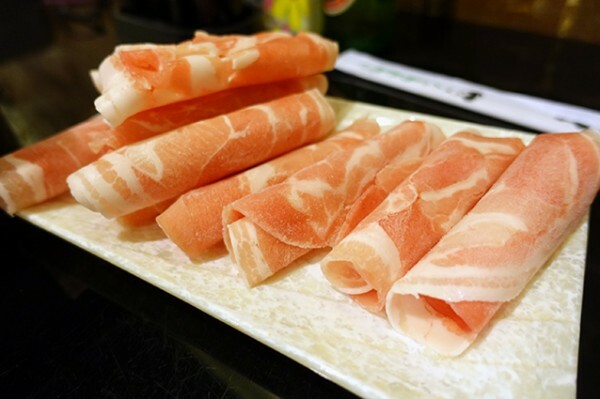 It’s the right accompaniment to hot pot that you order yourself by placing ticks in boxes on the long paper menu. 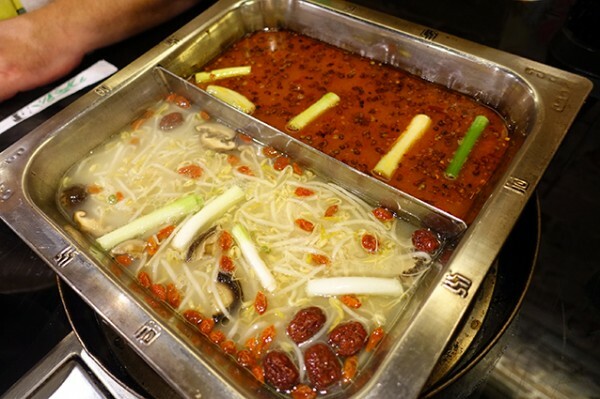 Your hot pot base is served in stainless steel trays; and includes a Half Spicy + Half Chicken Soup ($12/small) option. 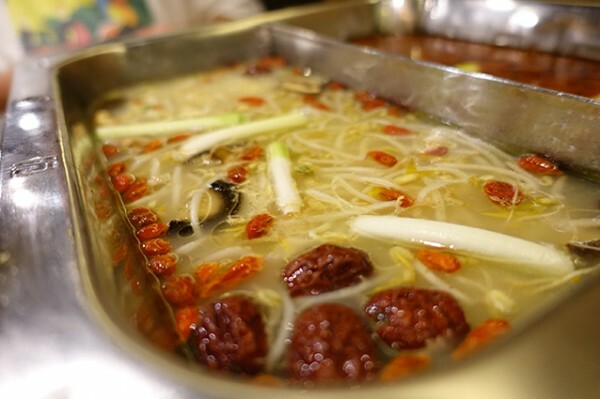 It’s worth opting for the chicken soup, full of floating goji berries and dried red dates, to give your mouth a break from chilli, especially if you opt for a decent level of heat. Scared of 'extra', we chose the second-tier 'medium' on both pepper (numbing) and chilli (heat), which proved to be lively without ripping our faces off. 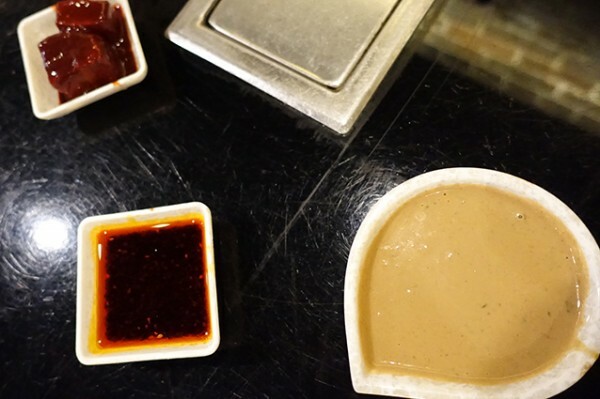 More frequent exposure to hot pot has meant we’re also getting better at saucing. 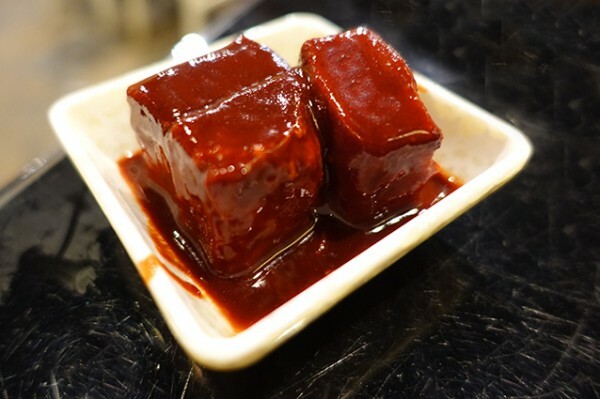 Combining Homemade Sesame Sauce ($1) with Chilli Oil ($1) and glistening red cubes of Fermented Bean Curd ($1) in our bowls made for an excellent accompaniment. Smashing up the bean curd added a funky, round middle to the resulting sauce, that really shone with meat. 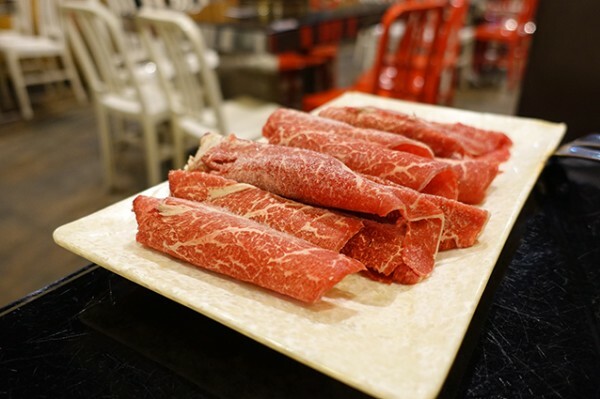 Nicely marbled Wagyu Beef ($15) is the perfect way to give it a good whirl, coming up better in our spicy soup. I find it easiest to use the slotted spoon to transfer the steaming hot beef to my plate, then chopsticks to dip it in my sauce bowl, and transfer the cooled meat to my mouth. I repeat the process with thin tubes of Pork Belly ($8) that suits the lighter broth, and really works against the sesame in my sauce. 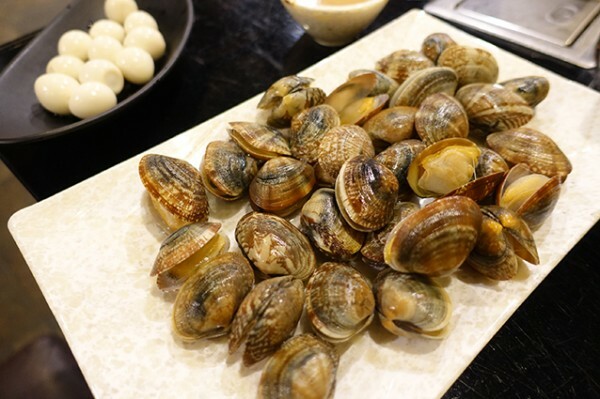 Clams ($10) are best held three or four at a time inside your slotted spoon. 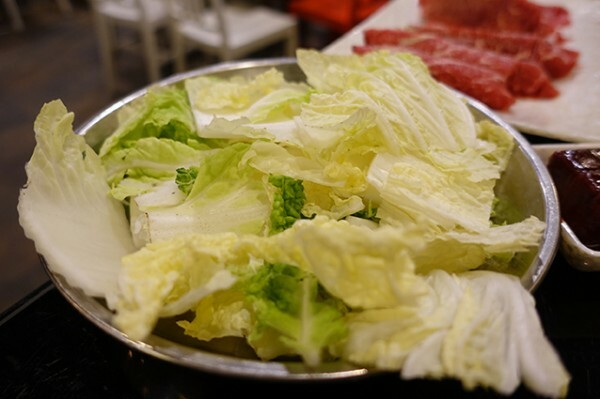 While messy to eat, when given a short dip in the bubbling soup pots, they're delicious, particularly on the spicy side. Quail Eggs ($6) are delicious wherever you happen to stick them. 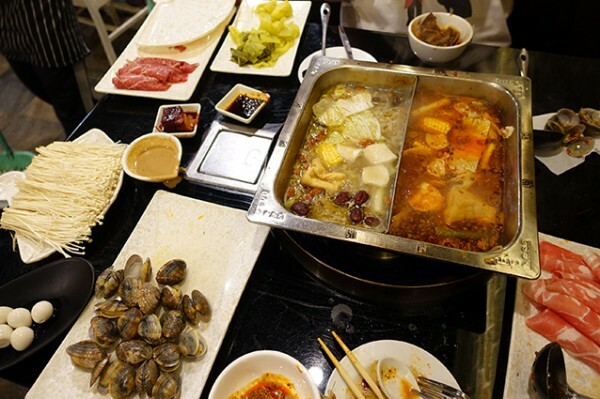 While it does look overwhelming when staff swamp your table with plates, stacking the overflow on the small metal trolleys underneath them, contrast and wide ordering is what makes hot pot great. 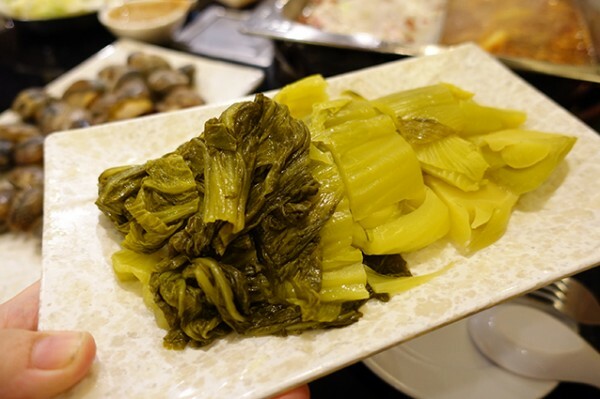 We punctuate our hero proteins with Chinese Cabbage ($3) and sharper Pickled Mustard Greens ($4). Mushrooms scrub up particularly nicely in both styles of soup, whether they be thinly sliced King Oyster Mushrooms ($7) or feathery Enoki ($7). 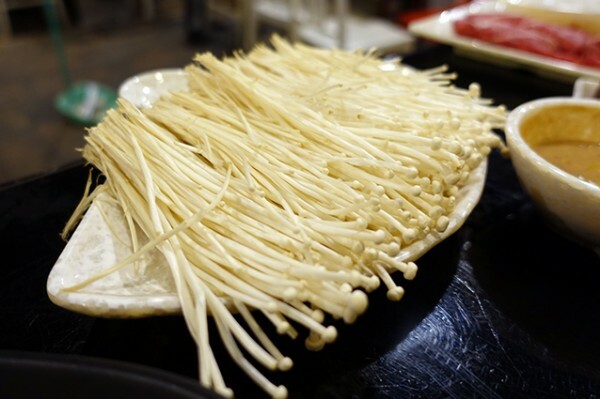 Try to keep the enoki together in bunches as you place them in the soup for ease of eating. 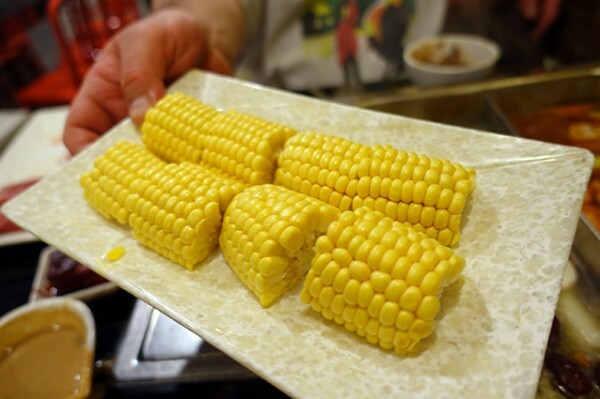 Kept on the cob, Sweet Corn ($4) is worth the struggle because it’s a wonderful juicy, sweet contrast to the spicy soup. It’s another ingredient that really eats well against the cooling nutty dipping sauce. 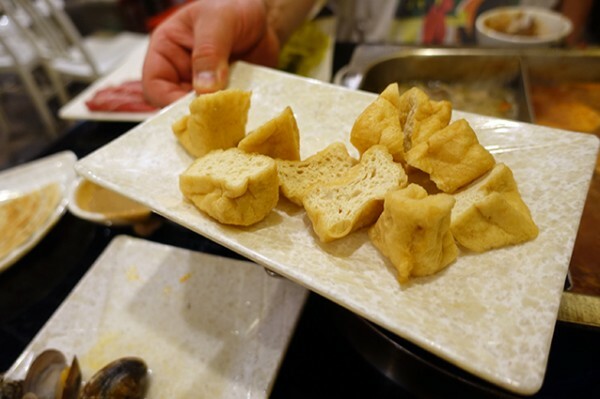 I also like to include ingredients that soak up soup, like Fried Tofu ($4) puffs, that work for these Chinese soups like throwing bread into Western chicken noodle soups does. From the staples section of the paper menu, you can add some bulk like noodles or rice. I’m a fan of the glutinous Rice Cake ($4), which are the same as Korean tteokbokki, because they’re chewy and delightful on the palate. 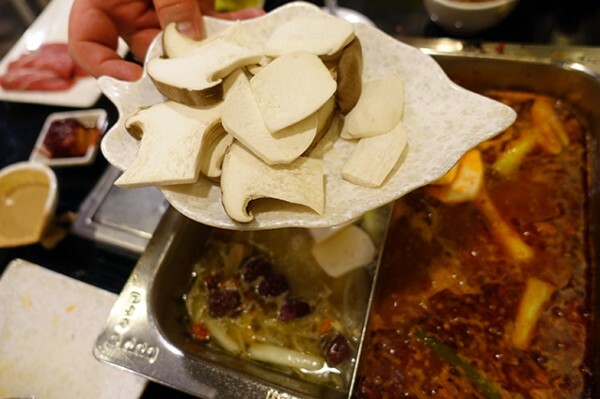 Bar from ingredients like Live Barramundi ($30), nothing on the hot pot menu is particularly expensive, so you can go to town and have a really diverse dinner. Along with four beers, our entire meal for two people here scraped in at just over a hundred bucks. After some slow and concerted eating we left feeling energised with our mouths still tingling from the hot, numbing spice.